Wizard is a powerful tool to quote and buy policy. Wizard was created with our customers in mind, so it's easy and intuitive-to-use. * Haven't joined Globelink Affiliate Programme yet? Become our affiliate partner right now or Read more. Step 2. Get your own affiliate link* by clicking on Generate New Affiliate Link (1). Choose Iframe Wizard in the dropdown menu (1). 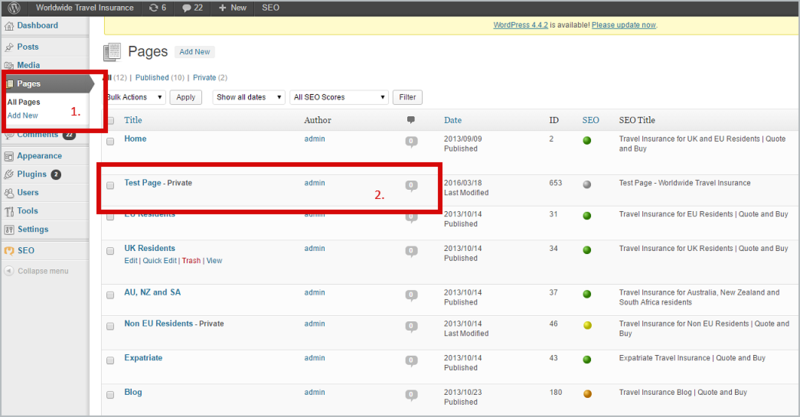 Fill in title field (2) to indicate the generated code as Wizard code for the next time you visit your account. Then click Generate (3). * Note that each affiliate partner has to use only unique code that was generated in Manage Campaigns tab. Otherwise, you will earn money for another person. Step 3. 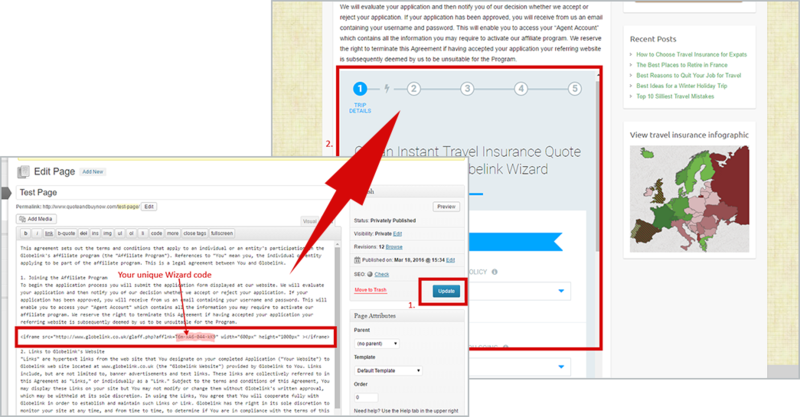 Get Wizard code to integrate it to your site. Please, take a look at the This is your affiliate link table cell (1). This is your own affiliate link. It will earn you money each time your visitors click on Wizard at your site. Then go to Banners table cell and click Get Banner Code (2). Step 4. 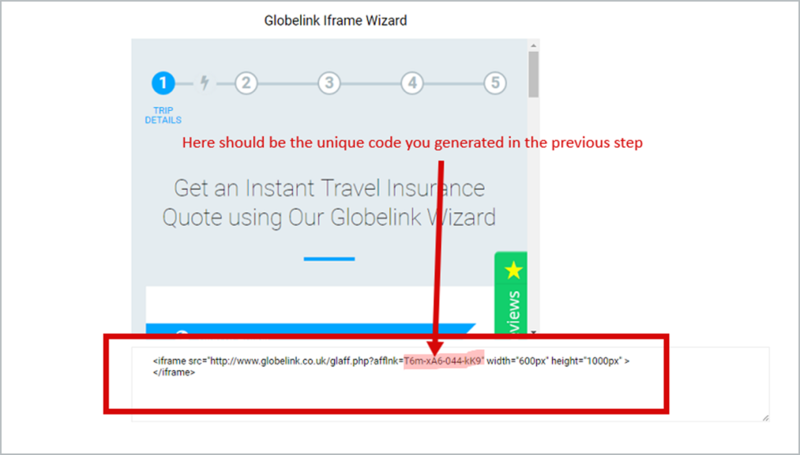 Copy HTML Wizard code to integrate it to your site. Step 5. Go to your site and select the page where you want to display Wizard. It's not important what CMS platform your site is based on. Whether it is WordPress, Joomla, some unique CMS or any other, simply select the page to add Wizard code there. We use WordPress site as the example. If you have the same platform, please go to the Page section (1) and select the page to display Wizard (2). * If you use any other CMS platform, you need to paste Wizard code to the HTML code of the page where you'd like to display Wizard. Step 7. Save and check the results. You can also watch the video-guide "How to Integrate Wizard".